The new Star Trek movie is out in theaters, so I have decided to present a Star Trek themed thought experiment to show evidence for God by using reason. "Space, the final frontier. These are the voyages of the Starship Sacerdotus. It's continuing mission, is to explore strange atheist worlds, to seek out new life in Christ and teach civilizations, to boldly go where no man has gone before." Suppose you are in the year AD 2487. Things have changed on Earth. New technologies have replaced the old. What seemed impossible in 2013 is now possible. Humanity has reached the point where it has designed warp drive and vessels that can travel long distances in space in a matter of seconds. Human beings are naturally curious creatures. They will study and observe anything, even if it is dangerous to them. Whatever is observed is processed in the brain and then rationalizations come about. Anyhow, the human race has explored the Solar System by this point and is hungry for more. 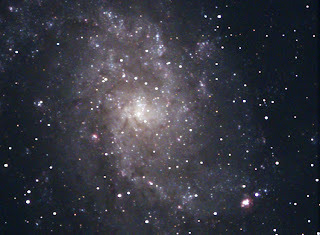 The Triangulum galaxy (M33) is huge and looks interesting to study from Earth; however, the human race wants to actually visit it. At over 2 million light years from Earth, it would take a considerable amount of time to reach the galaxy. Nevertheless, humanity is stubborn and willing to do whatever it takes to get the mission done. They study wormholes and how to bend time and space and develop means of creating an artificial one that will shorten the trip. The trip is risky. 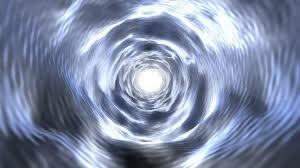 A wormhole can become unstable and those within it can be lost forever if the wormhole collapses. With determination in mind, the human race continues with its plan and begins searching for qualified experts who can travel there, investigate and bring back whatever knowledge is obtained. They interview thousands of scientists, pilots, engineers, medical personnel and others in order to finalize the crew that will participate in this mission. Twelve are chosen from among the thousands and are given training. This training will hopefully prepare each participant with facing whatever challenges may lie ahead. After the training, the twelve begin to board the USS Sacerdotus. The USS Sacerdotus is specifically designed to handle the harsh environments of outer space. It's computers host vast amounts of data regarding the human race as well as programs needed to study whatever data is acquired from the galaxy Triangulum. are mildly unstable and a wormhole can be opened. The deflector array is turned on and a beam of exotic baryons are shot at the point where space and time are at its weakest. A rift begins to open and disturbs normal space and time. When the rift is large enough for the USS Sacerdotus to enter, the vessel begins to move towards it. The inside of the rifts is white - a sharp contrast to the blackness of outer space. The USS Sacerdotus enters it and begins moving at an incredible speed due to the absence of normal space, time and gravity. Within two seconds the USS Sacerdotus emerges into normal space once again. 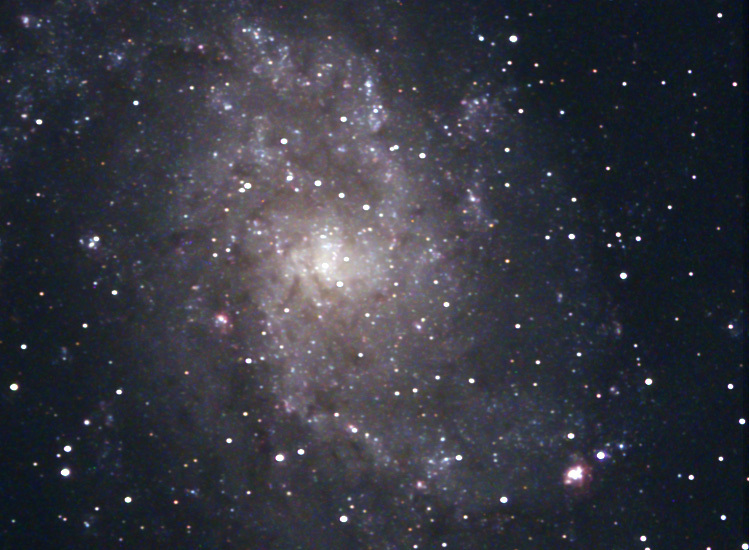 It is right in the Triangulum galaxy. The twelve on board celebrate the success of the trip. All is well, the USS Sacerdotus suffers no damage and it begins to explore this strange new galaxy in ways observatories on Earth could never possibly do. Way galaxy. The crew sets course to it and arrives a few hours later at warp nine. As the USS Sacerdotus approaches the system, it detects a planet in the "Goldilocks's zone" or habitable zone. 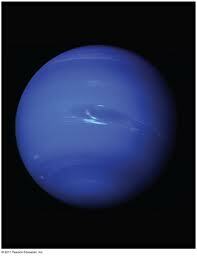 The planet has an indigo tone to it and is four times the size of Earth. It has oceans, lakes, rivers, mountains; all of the geological features found on Earth. The crew is ecstatic! They immediately test the gases on the planet to see if they are safe. Tests indicate that there is oxygen on the planet that is safe to breathe; however, there is more concentration of it. The oxygen content in the atmosphere is 58% which could post a threat to the health of the astronauts. Human lungs are designed to intake about 21% oxygen. Anything greater can cause harm such as fluid in the lungs, damage to capillaries and alveoli. Depending on the atmospheric pressure, other issues such as dizziness, nausea, vomiting, muscle twitching can occur. Undeterred by this, the crew continues to plan a way to go on the surface and investigate this new world. While scanning the surface, the crew discover something even more exciting. Ship sensors detect structures of some sort that do not match the surrounding landscape. This discovery increases the zeal to launch an away team to the planet to investigate. All adjustments necessary to survive the planet's surface are made to the crew's spacesuits. Six of the twelve prepare to make the trip down to the surface in order to investigate the planet as well as these structures. They all board a shuttle craft with the necessary items for the mission. The shuttle craft leaves the bay and begins its decent to the planet. The trip takes about 20 minutes. The shuttle lands and the crew sets foot on the alien world 14.6 quintillion miles from Earth. The world is a bit gloomy looking. It is not as bright as a spring day on Earth, nevertheless, the crew steps afoot and begins to investigate. They walk about and study ever inch of the landing zone. Their instruments detect identical minerals to those found on Earth. Nothing seems out of the ordinary other than the fact that they are on a different world. Life is detected such as plants, bacteria and strange looking arachnids, but nothing similar to animal wildlife or human beings. The crew continues walking towards the site where the ship's sensors detected structures that did not match the natural landscape. As they get closer, they can see some of the structures in the distance. Wonder fills their minds as they try to make sense as to what these structures are. They finally reach the area and find ruins scattered about. There are structures, buildings and other things that are not naturally part of the landscape. The scientists begin to study them. They realize that these structures are not made by an unconscious agent; that is to say, they did not form themselves. The geologist on the crew clearly states that neither weathering nor tectonics can account for the formation of these structures. They are clearly made by a conscious intelligent source capable of manipulating materials found on the planet. The scientists conclude based on what is observable that life existed on this planet and constructed these structures. The ruins clearly indicate that an intelligent conscious civilization once inhabited the planet. 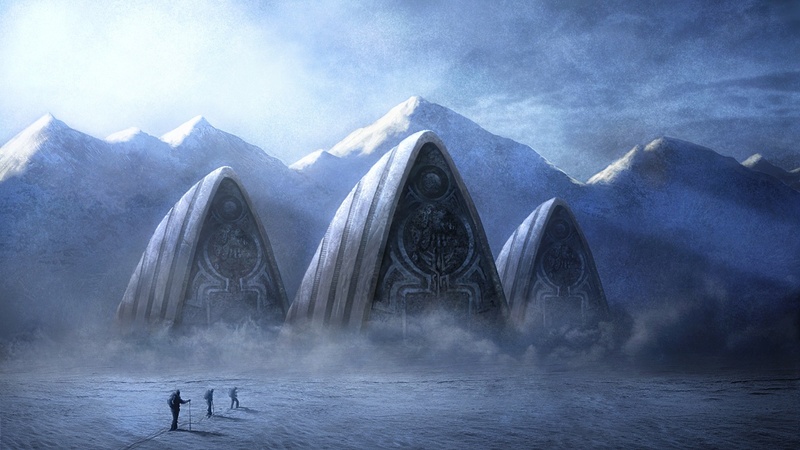 The structures on the planet could have been created due to winds, weathering and other natural phenomenon. The "face on Mars" was created this way. Some believed it to be a structure on Mars; however, as technology improved, it was determined that the face was really a mountain and its shadows created the illusion of a face. This is nothing more than Pareidolia, or the psychological phenomenon of interpreting images and sounds into identifiable stimuli. The human mind is wired to detect faces. While nature can "create" things such as valleys, cliffs, mountains and other elaborate designs, it cannot create complex ones which involve planning and mathematics. A mountain is not the same as a pyramid or a building of some sort. Pyramids and other edifices require mathematics and planning in order for the structure to stand and survive. Moreover, pareidolia cannot be a factor in the astronaut's experience because the structures were confirmed by technology. They existed prior to the arrival of the crew and will exist when they leave. The astronauts were hallucinating due to the difference of pressure, oxygen levels and gravity. These factors caused them to see things that are not there just like people on Earth can experience mirages. While people do hallucinate and can misinterpret visual stimuli, the astronauts on this mission had suits that shielded them from any external effects from the planet's surface. They did not inhale the planet's oxygen, but that found in their suits. Moreover, their instruments detected the structures and these instruments cannot hallucinate nor experience mirages. 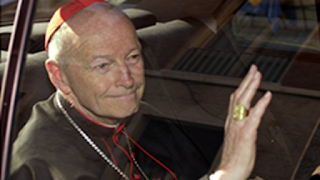 Atheists often claim that there is no evidence for God. They demand "peer reviewed" journals, empirical evidence and the like in order to believe that there is a God. The reality is that nature is evidence of God's existence. Just like the astronauts concluded that structures made with intelligence, precision and purpose are not the result of weathering and other natural phenomenon; so to we can determine via this same reason that the universe cannot be a product of random probability and natural forces. Buildings, cities cannot create themselves. When early European explorers came across Mayan temples and the like, they immediately knew that these structures were designed by someone. Similarly, if astronauts find ruins of a civilization on a foreign body in space, it is logical to conclude that they were constructed by a conscious intelligent people and did not build themselves. While some astrophysicists such as Neil Degrasse Tyson claim that the universe is harsh and hostile to human beings, this does not take away from the fact that human beings exist in an environment that caters to them. The anthropic principle is an indication of this. Yes there are parts of the universe that are hostile to human beings; however, this is not because these parts somehow exist to destroy us but because we were not meant to exist in them. For example, fish are designed to exist solely in water. If a fish goes out of its element, it will die. Similarly, human beings are designed to exist solely on Earth within the troposphere. Logically speaking, they will indeed suffer or die if they step outside of this habitable zone. Interestingly enough, we have the brains that allow us to defy this "prison" and go beyond it into outer space. That begs the question, why? It would seem that our brains too were designed to figure out how to counter any harsh situations nature may throw at us. The existence of harsh environments does not mean there is no intelligent design. Rather, it shows there is specificity in the design. The universe with its laws, order and harmony even within the chaos of subatomic particles shows an intelligence is behind its construction. It is not logically nor mathematically possible for a universe like ours to appear randomly in such a way as to allow life and the maintenance of galaxies and other bodies in space. "It is not logically nor (sic.) 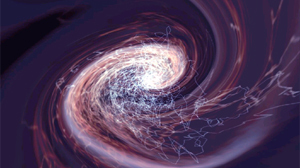 mathematically possible for a universe like ours to appear randomly in such a way as to allow life and the maintenance of galaxies and other bodies in space." Lawrence Krauss would adamantly disagree. As a physics instructor, I would like to see your mathematical proof of this impossibility. Your writing is very passionate but I am not sure you understand evolution and inflationary cosmology as your opponents (like myself) do. Take nucleotides for example. These are so complex that the probability of them forming in a functional manner is about 4^200-300. This would take about 18 billion years to do so which would be longer than the age we believe the universe is. If the universe were easy to create in the state that we experience it, then it would be easy for physicists to create one with a collider using the power of computers which can calculate way more efficiently than the human brain. Moreover, I think you do not understand that evolution and inflationary cosmology have a causal element to them. These processes are not eternal. As a physics instructor I would assume that you are aware of this fact. Hence, why no physicists have ruled out God by using evidence. Even Hawkings has stated that while God may not be necessary for the universe to run, this does not mean that He does not exist. I am a physics student myself and it was this science which opened my mind to the possibility of a Creator. When you say "universe in the way that it exists" and "state that we experience it," do you mean literally the observable universe in its present form (i.e. with planets like ours, rich in heavy elements) or do you mean our universe as generally amenable to human life (i.e. with sufficient dark matter to allow for galaxies to form, finely-tuned for organic life, etc.). As for nucleotides, "4^200-300" is not a probability, but I am curious about your meaning. Do you mean that there are 4^200 ways to combine GC and AT pairs to create a basic protein? Again I am a physics instructor so biology is not my strong suit. Yes our DNA and RNA are immensely complex, but its not as if our entire DNA sequence was randomly generated in a vacuum - rather we have genetic heritage from organisms who were more successful than others, natural selection in action. Yes, the way we observe it now which allows for life here and possibly elsewhere that we have not detected - or maybe our governments have and are keeping it quiet. The circumstances that arose to allow life are extremely improbable based on chance. The math does not allow it. Yes, the variables for RNA to construct itself in the way that it has is not possible based on chance. Our genetic structure is indeed so advanced and complex that there is a discrepancy between the age of our universe and the time that it would take for our genes to sort themselves in the manner that they have. Of course it's POSSIBLE that an explosion in an airplane factory will produce a fully assembled and functional airplane. The point is that the probability of this occurring is so low, this eventuality must reasonably be regarded as zero. Similarly, the probability of life capable of reproduction arising from random processes is virtually zero. Let's take the most optimistic course and assume that all past life is available for us to examine. Pick a species capable of reproduction. Follow a given individual backward in time, choosing the female progenitor as you progress through past generations. Since generation was produced by a DNA-based process, eventually your backward traverse must encounter an individual whose body at birth contained no DNA. After all, there are certainly times on Earth so primordial that no DNA molecules existed anywhere on the planet. Call this individual X, and the descendant that led us to X, let's call Y. 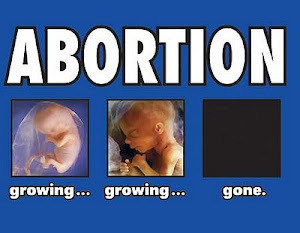 Now tell me: X's body contained no DNA before Y was produced, but somehow produced enough DNA during the gestation process to furnish every cell in Y's body with DNA, and a brand new DNA-based reproductive system to boot. Now notice that this miraculous development didn't just occur with some ancestor of one present-day individual, it had to happen with some ancestor of EVERY present-day individual. It's more likely that an explosion in a watch factory will assemble a functioning Rolex. The math does not show chance as an answer to the creation of what we call "reality." No explosion can bring about ordered matter. Post on the blog post why. How is a discovery of a city not a sign of intelligent design? Post it. I don't disagree that the buildings are evidence of intelligent design. I simply disagree with your final conclusion; there you make the leap that everything is evidence of intelligent design. What other leap can be made? If a "design" is observed, the only logical conclusion is that it has an intelligent designer. This is why I used the example of a city that is discovered in a distant galaxy on a distant world. Show me the lack of design in the universe. Interesting take on the watchmaker or tornado in a junk yard arguments but the flaw in it is the same. We know buildings have been designed and built because we have evidence of them being designed and built. The same can not be said of nature. Just because nature is complex, it doesn't necessarily stand to reason that it had to be designed and created. We have no evidence of outside forces such as a god designing nature so no reason to believe life occurred by anything other than natural means. Take the alien buildings away in your story and you are simply left with a natural eco-system on a faraway world with exactly the same statistical chance of that forming as naturally as life on earth. The flaw is in your understanding of the post. 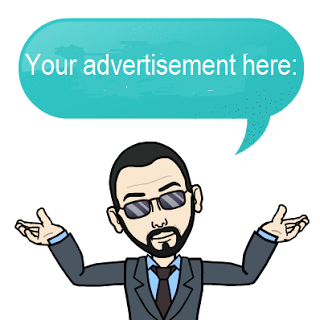 Your comment is already addressed in the objections/replies. I shall expound more. Yes, we have evidence of buildings having been designed and built, but we also have of nature as well. This is what scientists study in nature. How can scientists figure out how nature works if there is nothing to study? We have evidence of outside forces due to the contingent nature of things in nature. Things in nature do not exist on their own. They require a necessary factor that is not dependent of another factor for existence and existed prior to it. Everything in this universe has a beginning and end. Therefore, they require and external force that is not bound by contingency which gives them a beginning and end. Due to the mathematical nature of the universe, it is obvious that this force is intelligent. The universe and all its contents are the "alien structures" we are studying. With all due respect, you're using what's known as an argument from ignorance. You state that "everything in this universe has a beginning and end" but how do you know that? The Big Bang is simply thought to be the point at which time and space started expanding from a singularity. Science is still trying to work out whether that singularity was "always" there, whether it spontaneously appeared, whether it's a bubble in a multiverse etc. The same applies to the universe's end. We don't know. Current train of thought is that it'll continue expanding indefinitely - getting darker and colder as it does. So, if we can't say for certain that everything has a beginning and end we can't assert that an external force is required or that due to the mathematical nature of the umuverse, intelligence is required. With that in mind, it seems erroneous to compare "the universe and its contents" to an alien structure when evidence of design has still not satisfactorily been established. Just to elaborate on your comment about mathematical nature of the universe, you state: "Due to the mathematical nature of the universe, it is obvious that this force is intelligent"
However, mathematics is not the nature of the universe. Mathematics is the tool, the language we use to explain the universe. To say that mathematics is evidence of an intelligent designer is like saying that the Irish language is evidence of leprechauns. I do not think you understand the fallacy "argument from ignorance" You are not applying it correctly. This argument posits that something is true because there exists no contrary argument to it. For example, an atheist says, "there is no evidence for God, so there is no God." This is arguing from ignorance. We know that the universe had a beginning because of the "big bang theory" and cosmic radiation which shows the expansion of the universe from a single point. This post does not deal any singularity, so I do not know where you got this idea from. The universe was most likely not "there" for eternity because all matter, space, energy and time came into existence at the point of the big bang expansion. There was nothing before it. The laws of physics did not even exist prior to this, so the universe had no way of forming itself without the "instructions," so to speak. It would be like a computer booting up without an operating system. This post deals with the issue of design and order. It shows how things with order and purpose need an intelligence behind it. Our universe is indeed "mathematical" in that it is ordered in a specific manner to allow its own existence without error just like a math equation will provide a specific answer all of the time. There is no place for variation in mathematics. You either have a right answer or a wrong one. The idea is coined by Tegmark is used by physicists. I do not think there is any physicist in the world today that does not consider the universal "mathematical." Hawkings, Einstein, Lemaitre, Kaku, Strauss, Degrasse, Filipenko etc etc, all rely on math to come up with hypotheses or conclusions regarding the universe. The analogy you propose of leprechauns is a non-sequitur. Leprechauns have no authorship claim of the "Irish language" or Gaelic which I am assuming you are thinking about. The mathematical universe does show an intelligent designer because math is a "tool" or "language" as you put it and only a mind can create and make use of this.